I love Korean skincare, but I have an appalling secret: I’ve only ever watched one episode of one K-drama, ever. It’s not that I don’t want to watch them – I actually have tons of them in my Amazon queue. I just haven’t gotten around to it yet. Because of this, I was oblivious to the craze surrounding the Hanyul Rice Essential Skin Softner due to Jun Ji-hyun’s celebrity endorsement of Hanyul’s new rice-based skincare line. However, after seeing photos of her, I can easily see how she could be someone’s skinspiration – that girl’s complexion is enviably flawless. My reason for purchasing Hanyul’s new Rice Essential line is far more mundane. I was in the midst of testing Hanyul’s old skincare line for review, when they discontinued it and released all these new, exciting products. I was enjoying the old line, so I thought I’d give the new products a try. Today I’m reviewing the Rice Essential Skin Softner from the new Hanyul lineup, which, I should mention, is actually spelled “Softner” on the product. Don’t worry; I know how to spell “softener.” I find it almost unbearable that this product is officially labeled this way, but more on that later. Hanyul Rice Essential Skin Softner ($47) is a hydrating toner that promises to moisturize, brighten, and improve the texture of skin. There are two toner products in Hanyul’s rice-based line. This one is made for normal to dry skin, while the Rice Balancing Skin Softner is made for normal to oily skin types. The first thing I noticed was the amount of alcohol present in this formula. Alcohol is a bit of a controversial ingredient, as there are two schools of thought: Paula Begoun’s stance is that alcohol is never okay, and that it causes cell death. Nick Zevola’s (FutureDerm) stance is that it’s fine in a well formulated product, and that it can actually enhance the penetration of beneficial skin ingredients. When I interviewed cosmetic chemist, Perry Romanowski (The Beauty Brains & author of several skincare books), he stated unequivocally that alcohol was not a harmful ingredient, and that it not only helps with ingredient penetration, but that it also kills microbes. I find that I personally tolerate alcohol well in a properly formulated product as long as it’s not part of a BHA or AHA product, but I have to admit – I did a double take at the amount of alcohol this toner contains. It’s a lot. If you are particularly sensitive to alcohol, Hanyul Rice Essential Skin Softner is not for you. Rice alone has several properties that benefit skin (which I’ll explain in my Rice Extract description), but if you ferment that rice, you get a whole new advantage. Rice ferment, better known as sake, produces Kojic Acid as a by-product. Kojic acid is an antibacterial, antifungal substance derived from mushrooms. It is a skin-lightening agent at concentrations of 4%, and functions similarly to hydroquinone in that it inhibits melanin production, but it’s less likely than hydroquinone to cause irritation. I’m not sure how much Kojic acid present in this particular formula, however. I’ve seen a few concerns voiced about the safety of Kojic acid. Here are the facts: There were a few studies done on rodents that showed Kojic acid to be a potential carcinogen when taken orally in large doses. Subsequently, a few more studies were done that actually showed Kojic acid to be an antioxidant, and to have cancer prevention properties. Japan is currently conducting more Kojic acid studies in an effort to come to a more definitive conclusion, but since none of the studies showed it to be harmful when applied topically, it’s considered a safe cosmetic ingredient by Japan, Korea, and the US. It has been banned in Switzerland. Additionally, it’s worth noting that Kojic acid occurs naturally as a constituent in all soy ferment based foods, such as miso and soy sauce. Rice extract possesses antioxidant properties, and contains skin-improving phytochemicals such as ferulic acid, phytic acid, and γ-oryzanol. One 2012 study performed on both rabbits and human volunteers showed it enhance skin hydration, as well as improve skin tone, texture, and elasticity. Most of the scientific data I found concerning Cnidium Officinale revolved around its antioxidant and free-radical scavenging properties. I did see one very brief mention of its ability to lighten hyperpigmented skin by inhibiting a hormone called a-MSH, which is a primary player in the pigmentation of skin. According to CosDNA, alcohol is the only major red flag in this ingredient lineup. It scores a 3 out of 5 as a potential irritant. 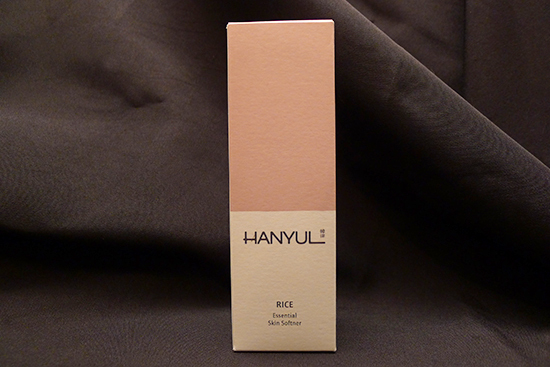 The Hanyul Rice Essential Skin Softner bottle is a tall beauty. It has sleek, modern lines, and an elegant, earthy gradient effect. Like the new Hanyul White Chrysanthemum Powder Serum, it has the product name written in Korean on one side and English on the other. The old Hanyul line did not have any English on it at all, and I am hoping that the English on the new product packaging signals an intention for Hanyl to enter English speaking markets. I personally think this line would stand out (in a good way) on the shelves of Sephora. I do have a bone to pick with the packaging, though. More accurately, I have a problem with the product name. The Hanyul Rice Essential Skin Softner is actually named with the spelling, “Softner.” I believe the change in spelling is intentional because of the consistency – it appears this way on the bottle, the box, and in official Amore Pacific product listings. I’m not opposed to a wacky spelling per se, but I’m opposed to this wacky spelling because it reads like a mistake. I’d be more open to it if it at least had proper punctuation, as in, “Soft’ner.” I’d also be more accepting of a change in spelling that is more apparent, like Söfftner. But “Softner?” That just looks like an error to me. If it weren’t for this consistency of the misspelling, I’d just as soon presume that’s what it is. I find it to be an unfortunate blemish on an otherwise elegant and refined looking product. The product itself is clear liquid that is thicker than water, but thinner than something like a typical hyaluronic acid serum. It’s almost identical in consistency to Sulwhasoo’s Balancing Water. In fact, it’s a very similar product in terms of application and usage as well. 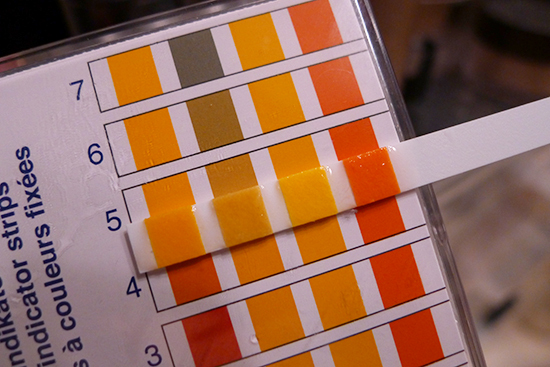 Both Kojic acid and Niacinamide are pH sensitive. Kojic acid works best at a pH between 4 and 9, and Niacinamide needs a pH between 5 and 7 to work as it should. The pH for Hanyul Rice Essential Skin Softener is right at 5. The smell of the Hanyul Rice Essential Skin Softner is fresh and herbal. It’s not too heavy, and it doesn’t stick around very long after application. I apply a coin-sized amount of the Hanyul Rice Essential Skin Softener both morning and evening. The instructions say to apply it just after the Hanyul Optimizing Serum, which is booster that’s applied just after facial cleansing. For the first few days, that’s what I did. Then I ran out of my Hanyul Optimizing Serum and switched to an acid toner. When I did this, my application order and timing changed quite a bit. Currently, I wash my face, apply my acid toner, then my BHA (or my weekly AHA treatment), and wait 20-30 minutes to let the acids do their work. 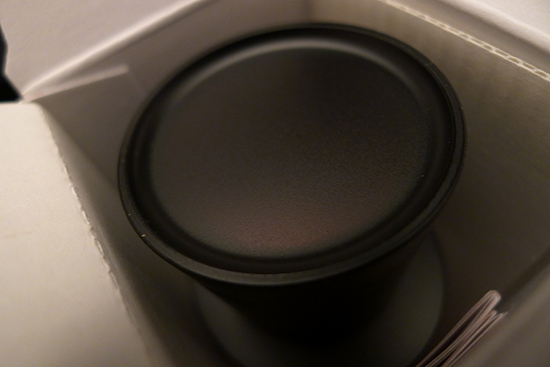 Then I apply the Hanyul Rice Essential Skin Softener, still using a coin sized amount. 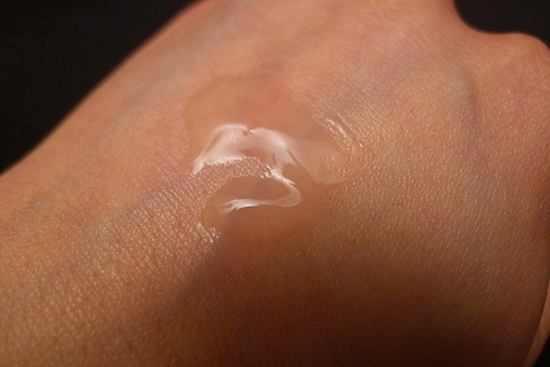 I apply the product with my hands, spreading it gently over my face, then pressing it in with my palms. It only takes a couple of minutes to absorb completely on its own, due to the high alcohol content. It definitely adds moisture in spite of the alcohol, and the finish is not at all sticky. Most of the time, I start applying my subsequent skincare products before the Hanyul Rice Essential Skin Softner has a chance to absorb on its own. It works wonderfully that way. I’ve been using the Hanyul Rice Essential Skin Softner for a little over 6 weeks. I definitely enjoy the added moisture to my routine. I didn’t see any visible changes in skin texture until I started using the acid toner and later, the Paula’s Choice Weekly Resurfacing Treatment. To be fair, my skin texture wasn’t bad at all to begin with. I did see some subtle but visible overall brightening within a couple days after incorporating the Hanyul Rice Essential Skin Softner into my routine. My PIH marks also lightened while I was using this product, but I think that credit goes to the AHA and BHA I was using concurrently with this toner. I have no definitive way of knowing whether or not the Hanyul Rice Essential Skin Softner had any hand on the spot lightening I saw, but spot lightening wasn’t a product claim to begin with. 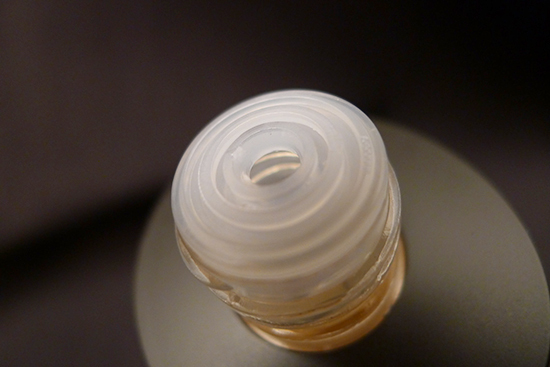 I also found that the serums I applied after this product absorbed more quickly, including my face oils. 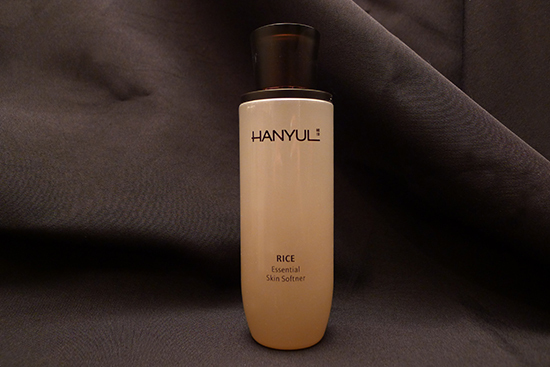 I did not experience any dryness, irritation, or breakouts as a result of using the Hanyul Rice Essential Skin Softner. Overall, I think the Hanyul Rice Essential Skin Softner is a wonderful hydrating toner for those who are not averse to alcohol in their skincare. I enjoyed the brightening, moisturizing, and increased product absorption results, and I thought the experience of using the product was extremely enjoyable. I just wish the name was spelled correctly. I’ve been looking everywhere for a review about this product. Thank you for doing this. A friend recommended I use this for my combination skin, but since I’ve just started with the Benton series, I’ve decided to leave this product out of my new skincare routine. I might just use it after a few weeks. Also, the name Softner threw me off for a while. I was wondering if it’s actually an essence or a toner or an emulsion. Your review was pretty clear and informative though. I love the new rating system btw. Hi Cindy! Glad to be of service. 🙂 Let me know how it works out for you if you try it! I was looking at the thing you linked to for Paula’s Choice, but it seems that they don’t think that just any alcohol is bad for you and causes cell death, as you stated. They seem to think that a specific type of alcohol (SD alcohol and ethanol) should be avoided at all costs, but that fatty alcohols (including cetyl and stearyl) are completely fine. I don’t know if this is something you want to clarify, but since alcohol is such a controversial ingredient, I thought I’d point it out. I also love Get it Beauty, Stephanie. It gives me skin envy too! it s the first time I discover this brand and the product! nice review! have you ever tried the shea terra organics after sun cream ? it has licorice to lighten sun spots? Hi Beth! I haven’t tried that one yet, but I have definitely wondered about it. I need to reorder some of my STO oils soon – maybe I’ll pick up that cream while I’m at it. Yeah, I feel so snobby in saying this, but “softner” puts me off buying it, especially for an above average price range. It just seems like the oddest thing to overlook for the brand. I know exactly what you mean, Belinda! It seems off to have such a misspelling on a higher end product like this one. Hey Kerry, great post. I haven’t watched any k-drama too, just Get It Beauty. I just wanted to really thank you for taking time to write your blog, knowing you have a day job. Your advice, has literally changed my skin, I had 2 huge lines on my forehead and in a month….I can barely see them. Thanks! Thank you so much Charlotte! I’m so happy your lines have improved. 🙂 What are your favorite products right now? Greatest tips using oil (from you) and washing face with salt and warm water when breakouts are beginning (from a famous Korean actress), works like magic. I was wondering where you get your pH strips from? First off, I’d like to let you know that your website has been my primary resource on my recent quest of (finally, belatedly) improving my skin. I’ve always tried to use gentle products for sensitive skin types, but I always found my skin looking rather dull and flaky (even during summer). After completely disposing of my former products, my skin has improved dramatically, but I am still having some trouble with redness (I may have mild undiagnosed rosacea) and I am particularly bothered by a short but rather deep crease between my eyebrows (due to frequent squinting, sigh). This is where my question comes in. Do you know of any reliable, targeted wrinke treatments? I do have some minor lines around my eyes, but I believe those will gradually improve with my new skincare regime. However, this one line … I feel it needs some special attention. As far as make-up goes: I don’t wear any. I use only a Hera primer (the green bottle which is said to slightly even out redness) along with the Hera Mist cushion. You can probably tell that I have kind of a bias towards Su:m37, and I do think their water-full line is especially lovely (during summer I use the lotion instead of the cream). Unfortunately I do find their products to be a bit on the rich side for me — here in Korea they definitely have the image of targeting a slightly older age group. Again, thank you so much for all of your effort. I actually cannot emphasize enough how glad I am to finally be taking proper care of my skin! P.S. I have no idea why the line breaks were not included in my previous comment. I’m sorry for bombarding you with a huge unbroken block of text! The softner spelling is maybe something used in other parts of the world? Like how we spell color and several other countries spell colour. Same goes for neighbor and neighbour. Yeah, I just tried looking it up… Ha ha!!! I love your site Kerry. I just recently jumped in to the 10 step skin care band wagon with you lot of help from you. I appreciate how thorough your research is in every post. Thanks, Girl!!! I was just wondering where you found the ingredients list for this product? I have both the Softner and Emulsion, but even the leaflets included did not specify any ingredients. I am looking high and low for the Emulsion’s ingredients. If you can tell me where to look for them, I would greatly appreciate it! does it comes with a freshness seal (for the bottle)? They’ve updated the spelling! It’s accurate now and the bottle is so pretty; all pink now, including the cap. Thank you for this review! I love the whole rice hanyul line. The smell is amazing.